In my previous posts on the controversy surrounding the appearances of Milo Yiannopoulos in Berkeley and the Hannah Arendt Center’s invitation to Marc Jongen as occasions for the new academic free speech debates, I argued that these hard cases serve to clarify, if not to justify, the positions we take as members of campus and broader political communities when it comes to conflicts between two fundamental commitments of pluralist, liberal democracies: the free speech principle and the no harm principle. In the U.S. context, I noted, this means that one inevitably ends up stressing the guarantee of dignity, enshrined in the Fourteenth Amendment, or the guarantee of an unabridged right to self-expression, enshrined in the First. In this third and concluding discussion of this issue, I want to use another recent controversial invitation — this time, the invitation to Steve Bannon from Luigi Zingales, professor at the University of Chicago Booth School of Business and director of the Stigler Center — to ask whether or not (as Judith Butler has suggested, on the basis of an argument discussed in my previous post) the nature of the contemporary speech situation, embracing what is politically and technologically distinct about our current cultural conditions, demands that we update these two fundamental principles and our sense of what to do when they conflict. My view is that such an update is not required; what seems to me required is nothing more or less than the nearly impossible demand of applying sound judgment (Aristotelian phronēsis). 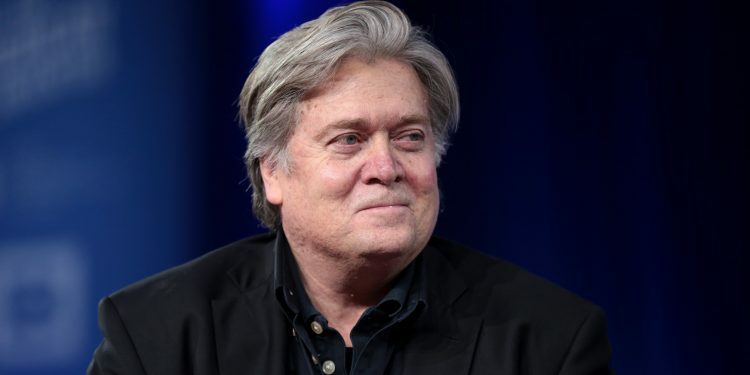 Bannon, surely, needs no introduction, nor need we long belabor the reasons why the decision to invite him to speak at the University of Chicago proved controversial. Still, let’s note that in a letter of protest signed by over 100 members of the University of Chicago faculty, the rationale for objecting to Bannon’s presence on campus centers on “the rights and safety of immigrant, black, Muslim, and LGBTQ communities,” which, under an administration in which Bannon played a key role, the letter claims “are routinely threatened.” This focus on safety and rights (to dignity, clearly, though not expressly so stated in the letter) is indicative of the key theme we have seen emerge in the new academic free speech debates: the tension between the no harm principle, grounded in “dignity of the person” standard at the heart of so-called positive freedom, and that of free speech, grounded in the “individual liberty” standard at the heart of “negative liberty.” Should we, then, understand this debate as one between opposing principles: speech vs. dignity; negative liberty vs. positive freedom; liberalism vs. socialism? This, I would say, is the way the debate was picked up by The Economist, which (predictably perhaps) sees this maelstrom as an opportunity to note that only those who benefit from the openness and civility of a liberal civil society can seriously oppose the presence of someone like Bannon on grounds of excessive hostility or harm reduction. They adopt the view that Professor Zingales himself takes, namely that merely suggesting (à la Zingales) that there is a reason to listen to Bannon is like exposing oneself as a centrist or “even” conservative while attending university in 1970s Italy. For account, whether from the Economist or the economist we could say, Zingales “is making himself unpopular again […] by inviting Steve Bannon, the president’s former chief strategist, to a debate at the University of Chicago on globalisation and immigration.” Their view, it would seem, aligns neatly with what Zingales wrote in a Facebook post in response to the initial protest last month: “Hate cannot be defeated by hate, but only by reason.” That is, rather than hate those (like Bannon) who espouse exclusion and hatred — as the “radical left” in Italy did in his youth, and as the Chicago protestors are doing now — we ought to invite those that espouse hate to speak with us and realize through rational deliberation…what, exactly? It seems to me, rather, that what is fundamentally at work here is the same issue that we saw resting at the heart of the debate between Judith Butler and Erwin Chemerinsky as regards the invitation to Milo Yiannopoulos at UC-Berkeley. There, we saw, Butler argued that since the time when she offered her most substantial comment on freedom of expression, in 1997, we have entered a new speech situation — where livestreaming, social media, and internet self-publishing make it possible both to “uncover” and to make threats in real time. This means that even those most committed to the principle of free speech as classically canonized cannot act as if it were the case that doctrines defined and defended in the nineteenth and early-twentieth centuries apply today, without amendment. For, she argues, in the current information technology reality, in which harms can be inflicted immediately and with direct physical action taken by the speaker, we need more nimble policy that can preserve the no harm principle even in this new and previously unimaginable reality. Chemerinsky, on the contrary, beyond making the argument that public universities cannot engage in the kind of regulation Butler espouses (an argument that would not apply to the case of the University of Chicago and the Bannon invitation), remains unpersuaded that the harm standard applies any differently today than in the speech situation 100 years ago, when current free speech doctrine was evolving in the United States. This time around, we have the faculty and alumni protest letters focused on the harm that Bannon has done and would do if given the enhancement of cultural capital that an invitation from an institution like the University of Chicago would provide. My political presentiments are, unsurprisingly, much more on the side of the faculty and alumni protests than with Professor Zingales. But I think it is a mistake to cajole the administration to limit his freedom to invite Bannon. I, for one, do not believe, as Zingales argues in a brief statement explaining the invitation, that a debate with Bannon will somehow be conducive to truth or to the reduction of harm in civil society. Nor do I concur with the University’s argument, in a statement defending the invitation, that it is right to “support the ability of protesters and invited speakers to express a wide range of views,” as though it is necessary to grant “all views” equal time and honor, regardless of the content of those views, or for that matter that all the things said by a controversial figure such as Bannon are “views” to be expressed at all, in the relevant sense. Nor again do I believe, like The Economist, that finding Bannon anathema is yet another reflex of socialist and communist ideology, and a symptom of those who have (one seems to sense undeservedly, in their view) thrived under liberalism seriously and earnestly opposing the extending of liberalism’s generosity of tolerance to someone like Bannon. However, I also don’t believe that one needs to believe any of those things in order to believe that privileging the free speech principle over the no harm principle is both right in principle and a more stable strategy in the current febrile political environment. This is because, so far as I can see, once a faculty colleague or student group on campus extends an invitation in good faith, I cannot see where there is ground to unmake such an invitation, absent a clear and present plausible danger of harm. And, as in the Berkeley debates, I do not see the threshold of demonstrating harm or the overwhelming likelihood of harm, being met. For this reason, it seems both right in principle and also good judgment for allies at Chicago or on the next campus where this erupts, to do whatever they can to minimize attendance at such an event. They absolutely should, in my judgment, refuse to take part in such an event — as, for instance, Professor Cathy Cohen has done in this case. We students, faculty, and staff who consider Bannon’s speech harmful should make as clear as possible why it is counterproductive — at best — for such an invitation to have been made. Likewise, there is no reason not to organize activities at a different location at the same time to discuss with students why a dialogue (or debate) with Bannon is actually not, pace Zingales, a way “to defeat hate by reason.” Rather, we can and should try to make clear that we defeat hate by some combination of ignoring it, excluding it, mobilizing against it, shouting it down, and when absolutely necessary — when it arms itself with state-sanctioned violence — by even more violent means. But to attempt to pressure the administration to shut down an event according to a top-down mechanism? Such actions do not serve the cause of either preventing harm or extending freedom. Thus, in my view, they fail the standard of Aristotelian phronesis: the capacity to see what is best, both in the sense of the good and the beautiful, and in the sense of the useful. 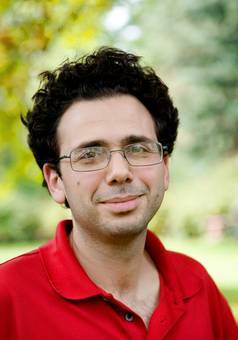 Michael Weinman is professor of Philosophy at Bard College Berlin and Contributing Editor at Public Seminar.